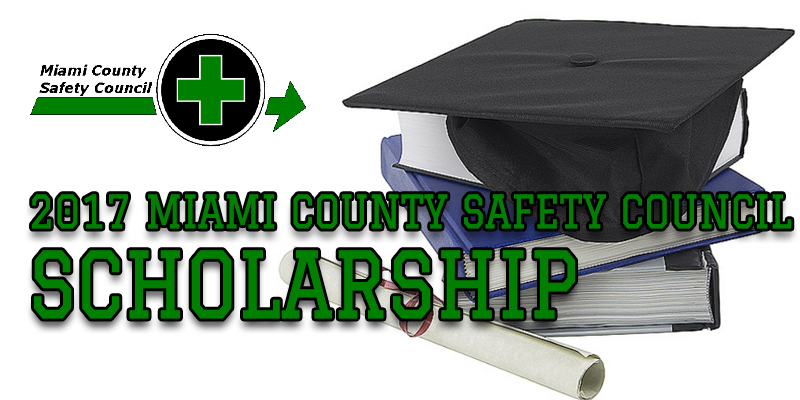 The 2017 Safety Council Scholarship application deadline is April 1st! We have extended the payroll true-up report grace period through Sept. 29. The payroll true-up is a new process that requires employers to report their actual payroll for the previous policy year and reconcile any differences in premium paid. The deadline for this report was Aug. 15. Given that this is a new process, we have extended a grace period until Sept. 30 to ensure all employers are able to complete this requirement. The payroll true-up is an important step that is necessary for us to accurately calculate your premium. Even if your payroll for the year matches the estimate we provided or you had zero payroll, you must complete a true-up report. The quickest and easiest way to true-up is online with a BWC e-account. While you are able to complete the true-up through our call center, wait times may be extremely high and we encourage the use of our online reporting system. To create an e-account, go to www.bwc.ohio.gov and click on the Create e-account link in the top right-hand corner of the home page. Please visit our website if you already have an e-account but don’t remember your password. If you are otherwise unable to access your account, please contact our call center at 1-800-644-6292. Reminder: The payroll true-up is coming in July and is due no later than Aug. 15, 2016. BWC’s new payroll true-up process requires employers to report their actual payroll for the previous policy year and reconcile any differences in premium paid. This important step is necessary for BWC to accurately calculate your premium. Even if your payroll for the year matches the estimate BWC provided or you had zero payroll, you must complete a true-up report. Safety-related work practices are important in every company. The Miami County Safety Council covered several important topics in a safety fair on June 11th. The event drew an attendance of 72 people from Miami and surrounding counties. Lynne Gump, Executive Director of the Northern Miami Valley, Ohio Chapter of the American Red Cross began the seminar by covering “Citizen’s CPR.” Gump instructed participants with a compression-only CPR class which is effective in caring for a person with no signs of life when a rescuer is unable, untrained or unwilling to perform full CPR. Members of the Safety Council doing “chest compressions” during Lynne Gump’s “Citizen’s CPR” session. 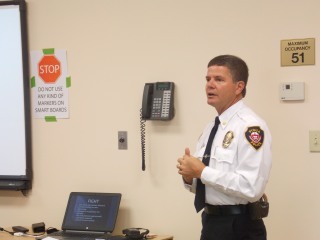 City of Piqua Police Department Deputy Chief Marty Grove shared important steps to take in the event of an active shooter or armed intruder that enters a place of business or home. The Run-Hide-Fight scenario provides individuals with the tools to react to an emergency situation. 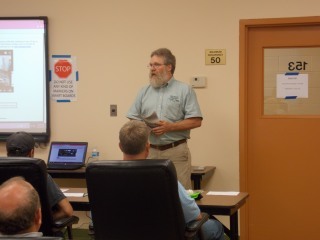 Greg Meyer, President of Midwest Industrial provided information on “Forklift Safety.” Meyer spoke about operating forklifts in a safe manner and shared information regarding daily inspections and coaching forklift operators. 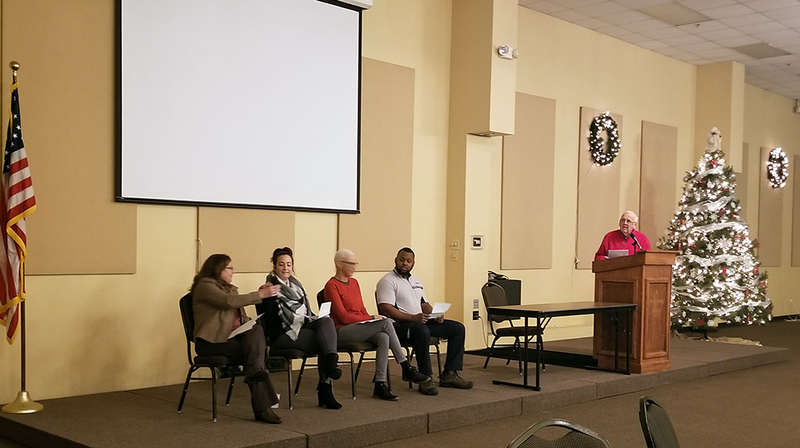 Sarah Towning, Vice President of Wellness Collective, continued the training with “Sitting is the New Smoking.” Towning shared information about the significant health consequences for people who spend most of their lives sitting. 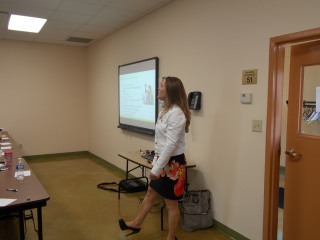 She discussed new research findings regarding current behavioral trends and strategies to reduce sedentary time as well as methods to incorporate light activity into your workday. The fair was concluded with keynote speaker Brock Heath of Troy, Ohio.Heath spoke about his personal story and the passion he shares for helping others to overcome physical and mental barriers that veterans face upon returning home or work following military deployments. 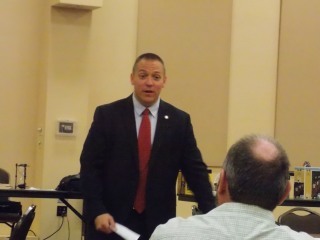 He shared methods to identify signs to help others to make the transition to civilian life. Heath is an author of “How to Succeed in the Civilian World, for Military Veterans” and owner of Gauntlet Development. 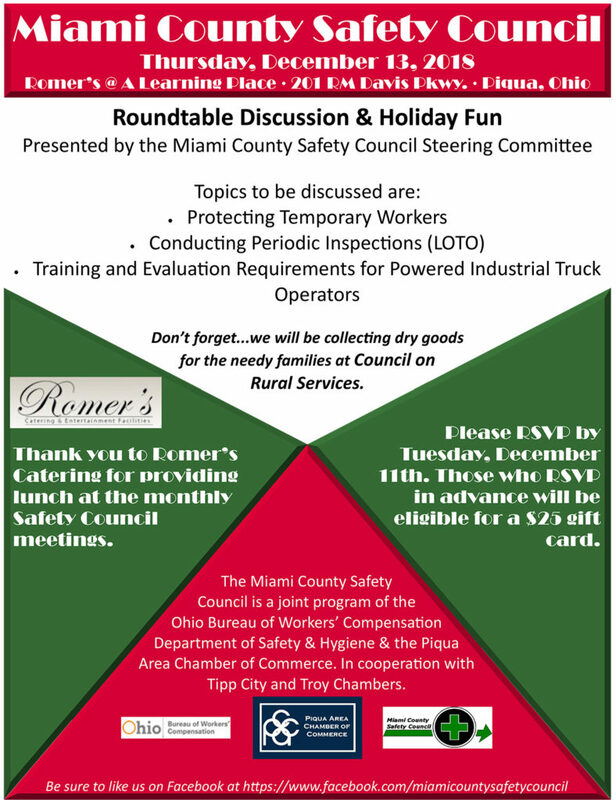 The Miami County Safety Council offers many topics of interest for local businesses and industries pertaining to health and safety issueas. The organization meets once a month on the second Thursday of the month. Information about the Miami County Safety Council is available on this website. Membership can be applied for through the Piqua Area Chamber of Commerce.